Reciprocating saws are a necessary tool for making rough cuts in construction or for just taking difficult things apart, and here you will find some of the best reciprocating saws of 2019. They are great for cutting out old door frames that have been nailed to the studs just by using a metal blade in them- a big time saver when you are in a hurry. 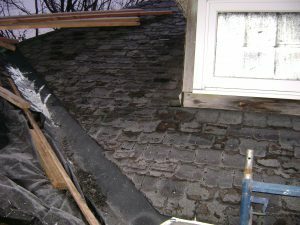 Also, they will cut just about anything from stucco, plaster, metal, all types of wood, and are used often for plumbing jobs and electrical work. The corded reciprocating saws are great when you have power nearby, but the battery type make work where their is no power, a very convenient tool to have. Would recommend having a corded and a battery type saw. Any of these corded saws that run on 10 Amps or more, have enough power for cutting just about anything. The battery type work best if they are 18 Volts or 24 Volts, and is recommended to carry around a second battery with you. The saws with the Lithium Ion batteries will last longer, so are an excellent investment. Most reciprocating saws have a 11/8 inch cutting stroke, and some might be a little less, with the longer stroke meaning a faster cut. The variable speed will give you better control on what you are cutting. Another great feature to look for when buying your reciprocating saw is to be able to change the blade without having to look for an extra tool to do it. Some of these saws you just pull a lever or push a button to change the blade, which is very convenient, and a big time saver. This is one of the better reciprocating saws, and comes with a 12 amp motor for power, which is enough to use on any job. Most of these saws come with an 8-foot cord to plug into your power source, plus an extra extension cord is often needed. This model has the variable speed trigger, giving you a range of 0 to 2700 strokes per minute-SPM, and changing the blade does not require any key, so no extra tools to look for when changing blades, and with an 11/8 inch stroke length it will make for efficient cutting. The shoe on this saw also adjust for the depth of your cut, and which also helps extend the life of the blade. This saw weighs in at 8.6 pounds, and is 18 inches in length, so if your looking for a good Dewalt reciprocating saw, give this one a try. 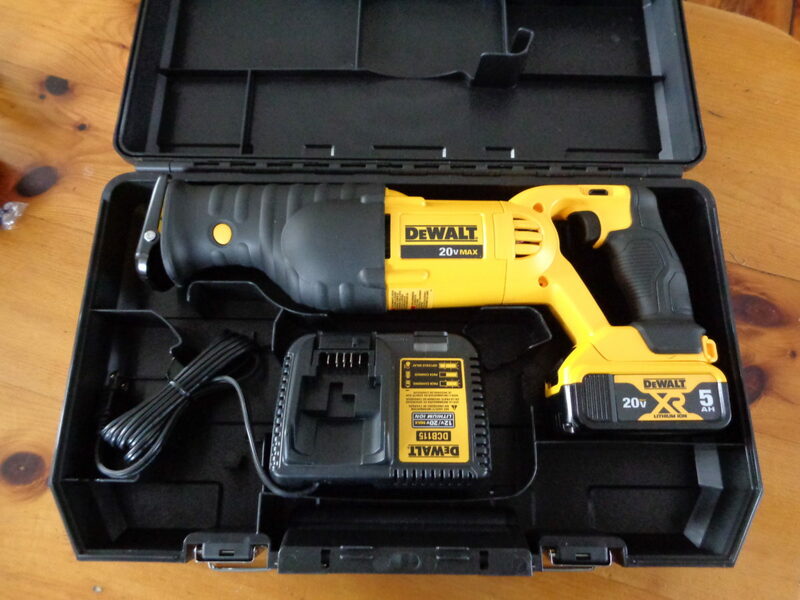 This is one of Dewalts better cordless models for when you don’t feel like running an extension cord, or happen to be working where their just is not any power. It has a 20 volt battery to give you enough cutting power for most jobs, and with the variable speed trigger you can go from 0 to 3000 strokes per minute. This saws cutting stroke is also 11/8 inch, which is usually the standard for most reciprocating saws, and it has a 4 position blade clamp for cutting where their is a limited clearance. There is a key less blade changing on this saw, so you won’t have to spend extra time looking for a tool. About the only negative to this reciprocating saw is that you have to buy the battery, charger, and blades as an extra. This is an excellent reciprocating saw by Dewalt, and capable of cutting through just about anything, so you might won’t to check it out. This saw uses an orbital motion as well as the straight cut for faster cutting through soft wood, and has the 11/8 inch stroke length for heavy-duty work. It is well-balanced for comfortable cutting, and comes with a durable 7.5 amp motor for going through many different materials. With its adjustable speed control, and a pivoting shoe make it easy work for rough cutting any materials around your place. It also has the tool free blade change, making blade changes quick and easy, and with the molded hand grips you don’t notice the vibrations so much when cutting. This is Porter Cables reciprocating Tigersaw, which weighs 3.8 pounds, and is 14.5 inches long. It has a 1-inch stroke on the blade, but has a speed from 0 to 3000 strokes per minute with the variable speed control. The batteries are 20 volt Lithium-ion, and for your convenience is best to have two of these. Being lightweight this reciprocating saw is easily portable, and won’t put an ache in your arms if you cut with it for a long length of time. This saw also has the tool free blade release which is a real convenience, so you don’t have to spend extra time looking for a tool for this. This is an excellent saw for lighter work around your place, and about the only negative is that you have to buy the battery and charger separate, so you might won’t to give it a try. This reciprocating saw has a 12 amp motor, with sufficient power to cut through just about anything you have, and will reach 3000 strokes per minute. The speed is adjusted by adding pressure on the trigger, until full speed is reached. To change the blade their is a latch located on the side of the saw for this, so another time saver where you will not be looking for more tools. It is also engineered to bring down the vibration level, making it more comfortable to use. The case that comes with this saw makes for storing and carrying it very easy, so if your looking for an excellent reciprocating saw give this one a go. This saw makes cutting in tight places very easy, as it measures about 181/2 inches in length and weights 13 pounds. The motor is brush less and gives a steady power for fast cuts, and reducing heat buildup in the motor for an extended life span for this saw, and is able to cut at 3000 strokes per minute. The 18 volt battery is Lithium-Ion, and it and the charger that comes with this saw, plus having the tool free blade changer is always nice to have. It also comes with a gear protecting clutch, giving it a longer life span than many other reciprocating saws, and has a built in LED light so you can see what you are cutting. About the only negative with this saw is it is a little pricey, but if your looking for some of the best quality in reciprocating saws, and a tool that will last, than a few extra dollars will be well spent on this model. As with most Makita products, this is an excellent orbital 15 amp reciprocating saw. Its 15 amp motor has electronic speed control, so it will stay at a consistent speed when cutting, and has a 11/4 inch stroke on the blade with a speed of 0 to 2800 strokes per minute, and has anti vibration built into it as well. The clutch system in this saw will extend the life of the gears for when ever the blade gets stuck or binds up when cutting, and with a tool less blade changer, and a weight of 10 pounds, this makes for a very easy saw to use, and a good buy. This saw is strong enough for cutting just about every thing, and is a good choice for general contractors, as well as using it around the home, and with its many positive reviews is one of the best on the market today. As I still own and use a Makita reciprocating saw I can recommend its lasting abilities, as mine has been with me for over 10 years and through some hard use, and it just never quits. This reciprocating saw runs on 18 volts LXT Lithium-Ion batteries, with a brush less motor that is electronically controlled to match torque and RPM for what you are cutting. It does not come with the battery or charger, but if you have other Makita 18 volt battery tools, they can be used for this saw as well. It has a 11/4inch stroke for increased cutting efficiency, and is designed to reduce vibration. There is an LED light, so you can see what you are cutting when in darker places, and with the tool less blade changer, and weighing only 7,8 pounds it makes this saw a pleasure to work with. This saw also has a variable two speed delivering 0 to 2300 and 0 to 3000 strokes per minute, and with the lower speed working well for cutting metal. It is hard to find any negatives about this saw, so if your looking for a battery reciprocating saw by Makita which will cut anything you like to use it for, than give this model a try. This saw weighs in at only 7 pounds, and has a length of 17.8 inches, so cutting in any tight places will be easy. With its 12 amp motor, it has the power to cut through all types of materials, and has a 1-inch stroke length. It has a variable speed trigger and goes from 0 to 2800 strokes per minute, and a soft grip handle for more comfort while cutting. This saw also comes with the quick blade change system, and with its fixed foot it provides a solid base for tough cutting. This saw comes in a carrying bag, with an all-purpose blade, so if your looking for an excellent reciprocating saw give this one a try. This reciprocating saw uses an 18 volt Lithium battery, and weighs 6.35 pounds without the battery installed, also this battery can be changed with any other Bosch 18 volt tool. This saw is also handy for cutting in tight places with a length of 17.7 inches, and an effective 11/8 inch stroke on the blade along with its 2700 strokes per minute. It can be switched between two speeds 2400 and 2700 which are controlled by the variable speed trigger. This saw comes in a carrying bag along with two blades which can be quickly changed without having to look for any tools. This is an excellent saw for around the home, and for professionals also, so if your looking for a five star cordless reciprocating saw give this one a try. This corded saw has an 8.5 amp motor with variable speed from 0 to 2400 strokes per minute, and features a six speed control to deliver a constant speed and performance. The blades are changed by a quick clamp giving a fast blade change, along with the shoe being able to be adjusted to three positions for a longer blade life, and with the 11/8 inch stroke it will give good performance and speed. There is a soft grip on the rear handle to lessen any vibrations you feel. This saw comes with a carrying case, and a wood and metal blade, and with its weight of 10.5 pounds it will cut through most materials with ease, so is another saw for you to try. This reciprocating saw is lightweight at only 3.9 pounds, and is about 151/2 inches long, so would be good for sawing in tight places. The 20 volt Max Lithium gives this saws motor the power to produce 3000 strokes per minute with a variable speed trigger, and a stroke length of 7/8 inches. This saw also has the tool free blade exchange, and with an adjustable pivoting shoe, with one blade provided. One negative is that you have to buy the battery and charger separately. So if your looking for a saw to use around the home, than this lightweight will make cutting very easy, and can be used for pruning also, and being reasonably priced it is a good saw to try out. This saw has a 12 amp motor, with a 11/4 inch stroke length on the blade. A variable speed dial and trigger allows for adjusting the cutting speed to give you more control when cutting. This saw has some new technology for user vibration protection, which will reduce the vibrations for anyone using this tool for a good length of time. The blade changing is quick and easy just by pressing a lever, so is no extra tools to look for, and a big time saver. Weight of this saw is 9.7 pounds, and when you buy it you get an all-purpose blade along with the case to carry it in. This saw also comes with a five-year warranty, and is triple sealed to protect against water and any dust, so if you want to try a saw that has less vibration than many, give this one a go. This saw runs on an 18 volt Lithium Ion battery which can be interchanged with any of Hitachi 18 volt batteries, but it does not come with the battery or charger. It has an 11/8 stroke length, and a speed of 2100 strokes per minute on the blade. This saw only weighs6.5 pounds, and with its compact size and handle that gives a soft grip, you will find that it is an easy saw to use for any length of time. It also has the tool less blade changer, and a warning light to tell you when the battery is starting to run out of power. The front shoe is adjustable to control cutting depth, and give your blades a little longer life span. Hitachi has been a leader in power tool research and development, and gives a good warranty on their tools, so you might won’t to give this one a try. This corded saw runs on a powerful 12 amp motor, and comes with the variable speed trigger that will go from 0 to 3000 strokes per minute. It also has the adjustable shoe to give you a little longer blade life, and with a stroke of 11/8 inches for cutting. You do have to use a 5mm Allen wrench for the shoe adjustment, which is a little inconvenient. It does come with a quick release lever for changing the blades, and the blades can be inserted up or down. This saw does vibrate a little, but won’t be a problem unless you are cutting all day with it, so if your looking for a saw which is very reasonable in price give this one a try. This cordless model for Ryobi runs on the 18 volt Lithium Ion batteries, but is sold as a bare tool, so you will need to buy the charger and batteries separately. It is a lightweight saw at only 5.95 pounds, and has an anti vibration handle, so you can cut with this saw for an extended length of time, and feel no pain in your arms. It has a stroke of 11/8inches, and this saw will use any of Ryobis 18 volt batteries from their other products, and also the shoe is adjustable on this one for added blade life, but you have to use an Allen wrench that’s provided with the saw, and it will only adjust to about a half inch. For around the home this will be a good saw to have. This corded saw has a10 amp motor with a lifetime service agreement, register your saw within 90 days of purchasing, and get free parts and service for life. It has the tool free blade changing that’s quick and easy to do, and also has a dial for the orbital selection. With a variable speed two finger trigger it goes from 0 to 3500 strokes per minute, and has a stroke length of 3/4 inches. This saw weighs 7 pounds, and comes with 5 reciprocating saw blades, contractor bag, and an operators Manuel. Also, the shoe on this model has a tool free adjustment on it for more cutting stability, and longer blade life, and comes with a soft grip handle for more comfort making this a very good saw to try out. This saw runs on an 18 volt Lithium Ion battery, and has a dial on top of the saw for orbital action giving you faster performance for cutting wood and softer materials. It also has the tool free blade change to make your blade change quick and easy, and the shoe can pivot freely or be locked in 3 positions for a longer blade life. It has a light that can be turned on without the use of the trigger, so you can follow the line of what ever you are cutting. It has a 3/4 inch stroke, and with the variable speed it will give you 3600 strokes per minute. This reciprocating saw come with one battery and charger in a carrying bag, along with 1 wood cutting blade, and it weighs about 9.7 pounds. So for any home projects this would be a good saw to have with your tools. This saw has buzzkill technology which cuts down on the vibrations so your cuts are easy and controlled, and less chance of wearing out the tool or you. It has a cutting stroke of 11/8 inches, and with the variable speed trigger to control the speed for cutting most materials will go from 0 to 2800 strokes per minute. This saw weighs 9 pounds and is reasonably priced, and also has the key less blade changing, so no other tools required, and with its 13 amp motor is a very good saw to try out with plenty of power for cutting all materials. This 18 volt reciprocating saw can use the existing Skill Ni-cd, or Lithium batteries, and also has a switch on the side of the saw for turbo mode, which means you get the orbital cutting for going through wood of softer materials faster. It also has the quick release blade changer, and comes with both a wood, and metal cutting blades, and another thing is that the battery and charger are sold separate. For the do it yourselfer this saw weighs only 4.95 pounds, and is at a price that anyone can afford, so would be great for around the home projects. This one has a 7.5 amp motor, and weighs about 8 pounds, so will be good for cutting through wood, metal, or plastic. It has the variable speed trigger, and will go from 0 to 2800 strokes per minute, and has a stroke length of 11/8 inches for the blade. The handle on this saw has a soft grip feel to it, so you will get fewer vibrations from your cutting. It also comes with the quick blade change system, and is sold with a wood and metal blade, but if the shoe needs to be adjusted you will have to have an Allen wrench for this. For a cheaper priced saw that will be great around the home than give this one a try. This saw runs on 20 volt Lithium Ion batteries, and the batteries will hold their charge up to 18 months when kept in storage. A variable speed trigger on this reciprocating saw will give speeds of from 0 to 3000 strokes per minute, and has a stroke length of 11/16 of an inch. It has a soft grip handle, and with a weight of 4.3 pounds will be easy on the arms when cutting just about anything, so would be a good addition to have for your tools. This saw has the variable speed which will go from 0 to 2800 strokes per minute, so you will find that it is strong enough to handle demolition work or any of your construction projects. It has a switch for orbital cutting in wood or to use for just straight cutting, and has the tool less blade changing system, and a release lever for the shoe adjustments to give your blade a little longer life. It comes with a soft D-Handle and front grip to give good control and comfort when you are cutting, and with a built in LED light for more visibility when you are cutting, as the daylight starts to get dimmer. This saw also has a hook on the top of it to be used to hang the tool up if you need free hands, when working on a roof or other difficult places. The power cord is 10 feet long, and designed to be oil resistant, and cold weather rated- good for the Canadian climate. This saw comes with a general purpose blade, and weighs only 8 pounds 3 ounces, so would not be hard to handle, so next time your at Canadian Tire give it a look at. This saw uses the 20 volt Li-Ion batteries, and has a variable speed trigger to do cuts from 0 to 3000 strokes per minute. It will go through soft or hard materials with ease, and is perfect for construction or demolition work. A counter balance design reduces vibration, so your arms won’t get tired after a long period of use, and it also comes with the soft D-Handle for greater comfort. It has an LED battery power indicator, so you know when its getting time to change the batteries. This saw weighs only 5 pounds, but you will have to buy the batteries and charger separate, and it is compatible with any of the Maximum 20 volt Max x-Treme Li-Ion batteries. So if your looking for a lightweight saw that will do it all, give it a try. This saw has the variable speed range of from 0 to 2800 strokes per minute, and its stroke is 11/8 inches for fast and clean cutting. It comes with the tool free blade change which can be done with one hand, and the shoe is adjustable and pivots to give you a better blade life. Also, has a built in LED light for better visibility while cutting, and has a rubber coated grip for more comfort, and control of the saw. This saw for Mastercraft runs on the 20 volt Max Lithium Ion batteries, so the batteries of Mastercrafts 20 volt tools can be used, such as any of the 20 volt drills. It has the quick change blade changer that can be done by one hand for very easy changes. Its pivoting shoe is adjustable providing good contact with what you are cutting, and it also has a button to lock it up from any accidental start-ups. This saw also has the LED light for better visibility when cutting, and weighs only 4 pounds 2 ounces. The battery and charger are sold separate, and it comes with two wood cutting blades and a hex wrench for shoe adjustments, so for a very light reciprocating saw that won’t wear you out, give it a go. On the corded models you can get most jobs done around the home with a 10 or 11 amp motor, or even less, while contractors might won’t a saw from 12 to 15 amps for that extra power when needed. Always check the blade lock mechanism to see how quick and convenient you can change blades. On some reciprocating saws you still have to look for an extra tool for blade changing, which is not very convenient. The corded saw is great when ever you are near an electrical hook up, while a cordless model lets you work anywhere, and can be handy for pruning a few trees around your place. The traditional reciprocating saw uses an in and out cutting motion, and now some of the newer models have an orbital action also which allows you to cut through softer materials much quicker. This is the distance the blade travels in and out on its cutting motion, most are 11/8 inches, but can be a little above or below that. One of the problems with some of the older saws was some vibration if using for a lengthy period of time, and today many have a softer grip handles for holding on to, and some with anti vibration technology built into the saw making cutting much easier on the arms. So I hope this will give you a few ideas for the next time your out looking to purchase a reciprocating saw. Any comments are always appreciated, just drop me a note and enjoy your wood working tools. 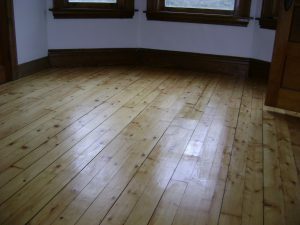 This article is about sanding wood floors and refinishing, and in this case the floors are in an old farm house, with one floor being painted a gray color from an oil based paint. Trying the floor sander on this paint did not go to well, as the paint just glued itself to the sand paper on the drum. So to make life a little easier I used a paint scraper on it first to get most of the paint off, and while this requires a fair amount of time, it did work well. This room was only 12 by 12 feet, so the scraping didn’t take too long. After that the rough sand paper on the drum floor sander lasted a lot longer with only going through about 3 or 4 of the sand papers. Also, as the floor was not level, it took a while to sand out the higher spots. There was a few carpet tacks to pull out, as someone must have had a carpet covering this floor at some point in time. Once the rough sanding was complete, which can take a while depending on the condition of the floor, than you can go to a medium like number 40 or 80 sand paper for 5 or 6 passes before switching to the fine sand paper for finishing your floor. Then you can use an edger around the outside of the room where the drum sander can’t reach. Start with the rough paper, than down to medium and fine. Also, is a good idea to take off any small 3/4 inch moldings around the baseboards, so that your not left with a line showing after sanding, and replace these after floor is finished. If you have any closets that are too small for the drum sander, than the edger can be used in them, and a small mouse sander with its v shape works well for the corners. You will find that some small sanding is required where the drum sander might have left some marks. If you have a random orbital sander it can be used to remove any spots where the drum sander overlapped. Usually giving the floor a good vacuuming, and using a strong light you can see any places that need a touch up sanding. You will also wont to cover any doorways that are open with a plastic or blanket of some kind. Even with the dust bags on the drum sander and edger, there always seems to be dust, and would suggest wearing a mask when sanding just to help keep you healthy. If your floor is very uneven with some high and low spots than your first rough sanding should be across the grain of the floor boards to level them out. And always get enough sandpaper, because the more often you have to change paper, the faster your floor sanding will go. Start with a 24 grit, than 40 or 80 grit, than up to 120 for the fine sanding. Once your floor sanding is done, than its time to get out your shop vacuum, and take your time to clean up all dust on the floor, windows, walls, and anything else in the room. Next question to ask yourself is what do you put on your floors, and that depends on the individuals likes. For my own floors I used Minwax Polyurethane clear gloss, and have seen other floors where a satin finish was used, which is not so shiny. 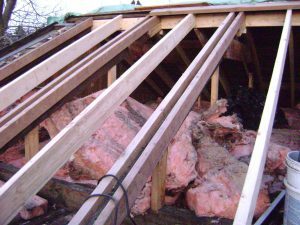 One floor in my log house was done with an oil based Polyurethane, and is still standing up to the wear and tear of every day traffic. Most of these Polyurethanes require 2 coats to be put on, but a third coat can be applied with a 4 to 6 hour drying time between coats. 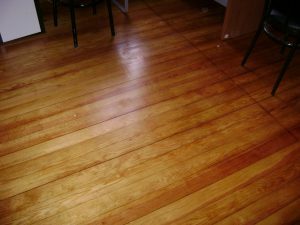 Always give a light sanding between coats, and a vacuuming, where light sanding means using fine sand paper to go over the floor lightly. A sanding attachment used for gyprock works well, and you can even use a broom handle on them so is easier on the knees. If you decide to stain your floors for a darker look, than is best to follow the recommendations on your can of stain. 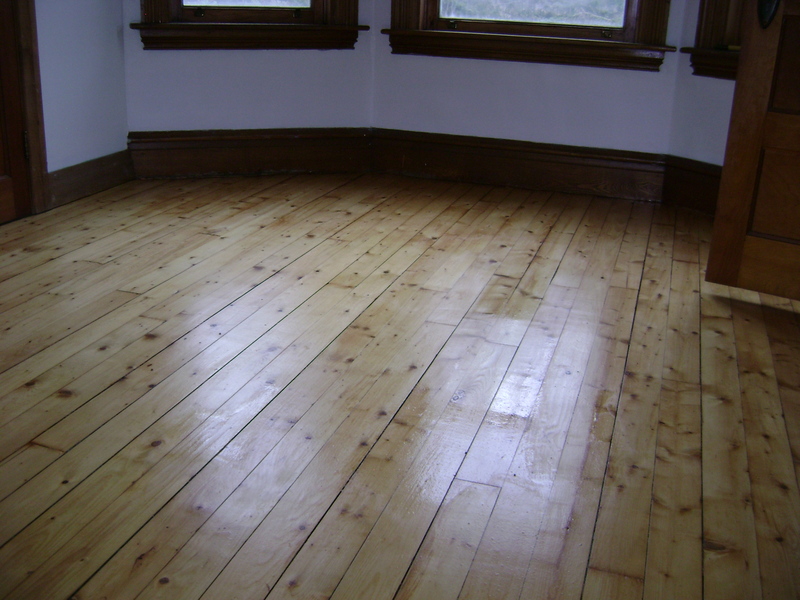 Most stains can be put on with a rag or paint brush, and wiped in the direction of the grain of wood to give it a uniform coverage. Also, would suggest wearing a pair of rubber gloves and knee pads when doing this. Allow your stain to dry completely as per instructions on the can, before applying a Polyurethane to protect the floor. There are some finishes that are a two in one, where the stain and protective finish are done in one step. One thing about applying stain is to always try it out first on a scrap piece of wood, or in a closet corner to see how it looks first. Minwax has a Polyurethane with an oil base that does not require sanding between coats, so this will save you some time when applying, and they also have a water based Polyurethane for hardwood floors. The Minwax also sells a top coat with a crystal clear finish, that gives a very durable finish, and again requires no sanding between coats. Having used this product myself have found it to be excellent to apply, and does stand up to traffic. Some people do attempt to sand small rooms by hand, which means using a belt sander, or random orbital sander. 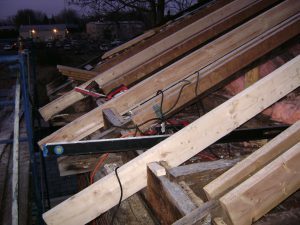 The belt sanders do work, but take a lot of time, and the sander has to be of good quality to be able to do a floor or outside deck. One thing I have used on a small floor is the motorized gyprock sanders. They actually work fairly well if your not in a hurry, and have the attachments to collect dust in your shop vacuum. With a good level floor or deck to start with these tools can be used, but will take you a lot longer than the drum floor sander and edger. T’he gyprock sander can cost anywhere from 300 to 600$, and to buy a belt sander another couple hundred or more for a good one. So if you don’t have these tools on hand, than it is cheaper to just go and rent the floor sander and edger, which will get the job done faster, and mabey even better. So no matter which way you decide to sand your floors, one thing experience has taught me is to take your time and do a good job, and in the end you will have a great looking floor. And before moving any furniture back in your room, follow the instructions from what ever you put on your floor for the time it takes to dry. Many of these products require you to wait 24 hours, before moving furniture back in the room. So best of luck on sanding your floors, and any comments are always appreciated.